Welcome to “healow Talks,” a three-part narrative series of the eCW Podcast, in which we explore how physicians are using the advanced technologies and techniques of healow to build real healthcare partnerships with their patients. Focusing on medicine and the patient relationship is what doctors love most — and essential for the health and wellbeing of those they treat. Adam Siladi explores how time and financial pressures hurt practices, and how healow is helping physicians fight back — by building the strong patient relationships that are both enjoyable and a key to effective medicine. Managing patient relationships is essential. Adam Siladi chats with doctors using healow for lab results, online booking, and better informed patients — leading to better teamwork and greater satisfaction. Call it marketing, education, or just plain common sense: Delivering simple, targeted messages is key in medicine. Adam Siladi unpacks just how healow helps doctors achieve their goals — and it’s easier than you think. Practices love offering online engagement tools through the free healow app. Patients of all ages love healow — health and online wellness — because it puts them in charge of their own health. From online booking and reminders to personal health history, lab results, and secure messaging with your doctor, healow has it all! It’s the latest in patient engagement, for providers and patients alike. 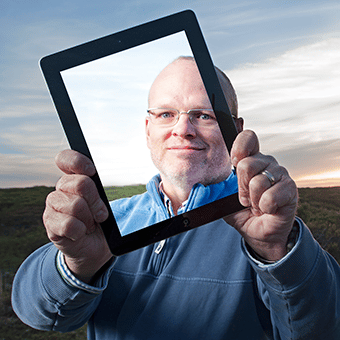 Take charge with healow — anytime, anywhere, from any device. Today’s patients love their trackers, a growing array of devices for measuring every aspect of one’s health and wellness, from glucometers and blood pressure monitors to tracking the miles walked or run, heart rates, and much more. 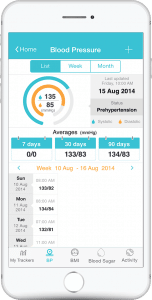 The healow patient engagement platform integrates with leading makers of wearables, including Fitbit, iHealth, Jawbone, and Withings, to put real-time — and potentially lifesaving — personal health information into the hands of medical providers. With healow, your patients will never again be limited by your office hours. You can give them partial or full access to your schedule, permitting them to request or even book appointments, 24/7, from wherever they happen to be. 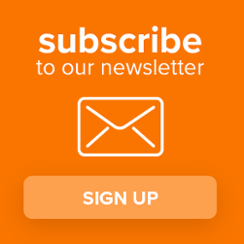 And with healow, you can conduct a variety of outreach and reminder campaigns, reducing no-shows, and helping your providers and office staff keep their focus where it belongs — on delivering quality healthcare. Seamless patient engagement — from initial appointment through follow-up — is necessary for outstanding healthcare, but still depends upon the proper prescribing and administration of medicine. 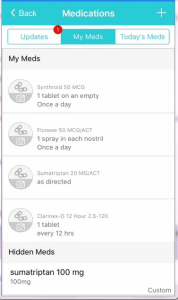 With healow, your patients can keep track of all their medications in one place. Personalize labels with their names and photo, and allow them to send refill requests when their prescriptions are running low. Doctors today are dealing with much more than patient care. From higher overhead costs, and stricter regulations, to shifting models for reimbursement, making your medical practice successful is more challenging and varied than ever, and that can take a toll on the part of the job that many doctors care about most. I’m Adam Siladi, and for the next three episodes of the eClinicalWorks Podcast, we will be exploring how the relationship with your patients may be affecting the health of your office. Is the doctor taking on too much responsibility, are patients willing, even eager to become fuller partners in their healthcare? How are offices working to make that happen and what is this healow thing? We’ll define that for you, and hear how clients view healow as the key to empowering patients, for their good health and to enjoy a stronger patient relationship. < Dr Hinson > Yeah, the time crunch, that comes from 1- minute appointment slots, which are more and more mandated in order to meet those financial requirements. < Dr Hinson > Really ruining doctor patient relationships. And when you consider, that that relationship with a patient, the ability to communicate effectively with a patient, that’s really a big part of the efficacy of any treatment. I mean, that is patients are way more likely to get better if they believe and trust what their doctor tells them. So when you got shorter visits, it means you’re more likely to give a prescription for a medication instead of one for behavioral change, like trying to lose a few pounds or walking regularly for exercise, and it definitely means patients are more likely to walk out frustrated or not completely understanding your instructions. As Dr. Hinson points out, a strong patient relationship is not just satisfying, but it’s critical to successfully treating patients. Now, that may seem obvious, but what used to be implicitly understood, is now being brought into sharper focus as the medical industry puts more emphasis on care programs such as Patient-Centered Medical Home. Paying attention to patient relationships requires time, and time, for the average medical office, has become very expensive. The medical industry understands that old models are long overdue for a change. Private insurance providers and the Centers for Medicare and Medicaid services are well aware that providers, especially those in primary care, are struggling with reimbursement. To be honest, they probably recognize that a large portion of overall healthcare spending is comprised of redundant or unnecessary services that cut into insurance company profits. But, there is good news: one solution seems to work for both providers AND insurance companies. Payers have been launching more and more incentive programs rewarding offices that take steps to provide quality care at a more affordable price. Now, who doesn’t want a little extra money coming in? But when medical professionals say they can’t afford to see fewer patients, are they really looking for more money, or are they searching for something else? Everyone knows the old saying “Time is money.” So, if you find yourself short on money, but long on time, then you can spend that time making products or providing services, and earn money in return. So the doctor’s office sets up a schedule, fills it with patients, and theoretically our time and money problems should be solved. Most offices will tell you, however, that it’s a bit more complex than that and, they often are required to see more patients than they would like. The irony is that, by seeing more patients each day, physicians actually see less of each patient. So that means that the very thing doctors and patients care about most, their relationship, gets less attention than it deserves. Anyway you look at it, today’s medical professionals are taking on an enormous amount of responsibility. Doctors and staff continue to care for patients amid stricter documentation requirements, changing technology, and falling reimbursement, but it can all be worth it if the patients would just listen and get better! Now, I’m joking, of course, it’s not that simple. But that feeling does underscore how, for far too long, we’ve viewed the doctor/patient relationship as rather one-sided. Patients were allowed to be casual spectators of their health while the doctor was expected to achieve results. And even when patients wanted to take a more active role, systems and attitudes often discouraged them. All that’s changing today, with patients encouraged, and even expected, to be more responsive, involved, and responsible in their own healthcare. And the result is more meaningful and fulfilling interactions in the office and through email, phone consultations, and even TeleVisits. So, where does the doctor’s time go today, and given that we can’t expand our days, how can we make better use of the time we do have? < Dr Hinson > So, there’s reviewing records and data from the patient, there’s finding and reviewing records and data about a patient from other care givers, there’s the time you spend considering the patient’s payer when choosing meds or ordering tests, or obtaining prior authorization from that payer for the same, there’s the obvious time that’s spent documenting visit notes, calls about inpatients, or calls from colleagues about referrals. You know, we should spend time reviewing medical literature to stay current in our treatment plans, and reviewing lab results, the results of the test that you ordered and acting on them. So there’s a lot that has to be done as a part of your day-to-day responsibilities. The provider’s main job is to care for patients, so is it any surprise that much of the time that could be spent seeing patients is spent addressing tasks related to patient care? There are things like lab results to review, appointments to confirm, refills to authorize, documents to transfer, and phone calls! If you work in a medical office, you can probably hear the phones ringing in your ears even after you’ve left the office. < Shari Crooker > When we started with Patient Portal, we were getting over 500 phone calls a day. < Dr. Gavini > Well basically, we were getting about 270 to 320 incoming calls. And most of these calls, about 65% of them, are for the appointments, either to make it, change it, cancel it, things like that. We could debate all day how we got to this status quo of what has become the modern doctor’s office, but the reality will still be there. What I wanted to find out was, what can we do about it? How do we reverse the trend and regain that strong patient relationship in the process? I spoke with several clients who figured out just how to do this – it’s not an impossible task – and if you’re an eClinicalWorks client, all the tools you need are right at your fingertips. Among the people I spoke with, they all shared some common traits: These offices were able to spend all the time they wanted to build their patient relationships because they discovered how they could better manage patient expectations and patient access to their office in order to reduce their operating costs. And to do that, they used tools provided by healow. < Dr. Hinson > healow stands for health and online wellness. And it’s not just a website or an app, it’s much more than that, it’s really a patient-engagement platform. It is meant to connect a physician to their patients in more and more meaningful ways. 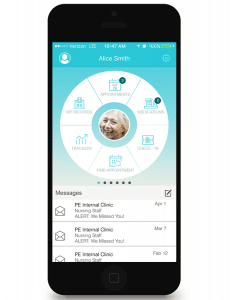 There is the app, the healow app, that’s available for download, and this app for your patients is meant to take their experience with your portal and enhance it and customize it and put it in their hands on their smartphone. The statistic which began our episode indicated that the most satisfying aspect of practicing medicine is the patient relationship. That’s the dream — a strong patient relationship and loads of time to build it, but what gets in the way is the worry that your day needs to be commoditized down to the second or you will have to close up shop. When all the pieces work together, healow is your Patient Relationship Management tool. And from what I can tell, an effective patient relationship is what separates the dreamers from the doctors who are living the dream. As far as healow being able to schedule your appointment, dang, that thing rocks! We don’t have that huge influx of calls on Monday morning. …we are going to hear from some practices that will tell us how they put these tools to work for their office and the impact that this is already having on their patient relationships. And we want to know what you think, too. What keeps your office from building the ideal patient relationship? I’m Adam Siladi, and thanks for listening to the eClinicalWorks podcast. A dive into the juicy center of patient relationship management. We’ll talk with practices that have been able to recover their time and maintain the ability to practice medicine on their own terms, and hear how you can put these tools to work in your own office. Last time, we noted that the traditional doctor’s office doesn’t necessarily have a revenue issue. Instead, what might be happening is their overhead has slowly crept out of control and so the office must cram schedules full to bursting, which leaves them with little time to spend on what many consider the most rewarding aspect of healthcare — the patient relationship. The key, we claimed, was to make full use of patient relationship management tools to tip the scales in your favor. This is where it gets real. We aren’t just going to paint a rosy picture of the idealized outcomes of what could happen thanks to the wonders of modern technology. This isn’t a 2 a.m. infomercial. Before the end of this episode, we are going to present several concrete action steps that have significant measurable impact on your office’s time and revenue. And you won’t just have to take my word for it. “Hi, my name is Shari Crooker. I am the practice administrator at Gwinnett Center Medical Associates in Lawrenceville, Georgia. We have four providers — one doctor and three mid-levels — internal medicine, we see anybody from three months old to 106. Actually, she’s 109 now! Shari’s office was being overrun by phone calls. “When we started with Patient Portal, we were getting over 500 phone calls a day. Action step number one is to start publishing lab results to the Patient Portal. Now, this step alone has the potential to completely change the way your patients view their relationship with your office. In Shari’s experience, once the patients know to treat the Patient Portal as the place to view their test results, they become participants in their own healthcare. Not only that, but the conversation is more effective — you eliminate one message where the patient requests their lab results and you eliminate the phone call or visit that would be required to discuss the results with the patient directly. In order to make this process truly efficient, set your results to automatically publish to the Patient Portal as soon as the results are reviewed by the office. If you’re using eClinicalWorks, this can be done from the ADMIN band under Patient Portal settings within the Labs Settings menu. What’s more, if certain results should NEVER be published to the portal automatically, like tests to determine pregnancy or sexually transmitted diseases, you can configure individual lab and imaging orders to be exceptions to the rule from the EMR menu using the Labs or Imaging lists. The biggest benefit, here, is that you get a lot of bang for your buck, especially since you won’t be spending any. That’s right, publishing lab results to the healow patient portal is completely free. You know what isn’t free? Last minute cancellations and no-shows. And it’s becoming more important than ever to work to keep that no-show rate down. Over the last several years, the rising cost of healthcare and a trend toward high-deductible health plans have led some offices to report a sharp increase in the number of appointments that just don’t happen. Here’s Dr Gavini, a patient engagement pro from Michigan, to explain the impact that even a few no-shows can have. But the effects extend above that bottom-line because no-shows represent a potential breakdown in the continuity of your patient’s care. Patients may have gotten their care sooner at another location meaning your office now has to spend time tracking down those care records, or, worse, they may not be getting care at all. That leads us to the second action step — to make sure your patients keep showing up. 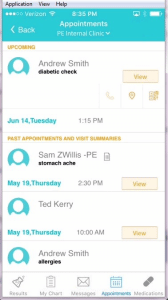 Using healow Messenger, practices can send an appointment reminder via voice or text message. This service even lets patients confirm or cancel their appointment using an automated system that will update your schedule with the new status. And patients love this interaction, as Dr. Selam Bullock, who has a busy pediatric practice in Raleigh, North Carolina, noted in an interview with fellow podcast host, Aaron Ibrahimi. Studies have reported that, the farther out a patient’s next appointment is, the more likely they are to be a no-show. We forget, we are human — I know I would probably never make it to the dentist if I didn’t get those reminder messages. Fortunately, healow offers several ways to bridge the gap — no dental pun intended — by sending appointment reminders. If you need a hand getting those appointment reminders sent out, or want to explore some more powerful messaging features, eClinicalWorks has a team of people who are able and ready to help your office get going. Let your Strategic Account Manager know that you need some help from the patient engagement team, or put in a request on our support site, my.eclinicalworks.com. Now, maybe the last two steps didn’t seem like much of a challenge. If you’ve already checked those steps off your to-do list, then it might be time to take a more drastic step. One way to improve your patient relationships is to be available for your patients, whenever they need you. That’s Dr. Gavini, again, and he believes that he saves money on every appointment by allowing his patients to access his schedule online. Online booking is so effective, that he has been able to reduce his staff needed to manage all those appointment calls, resulting in ongoing savings. He did mention, however, that he makes certain to keep some appointment slots reserved by not publishing them online. This is to allow room for urgent appointments, in case the day is already full. Dr Gavini is not the only one who has been successful with this. During the 2014 National Conference, we interviewed Dr Mark McNeill from Trillium Family Medicine in Asheville, North Carolina. And if you are looking make online scheduling work for you, Dr. McNeill shared some detailed instructions on how to determine the optimum number of appointments to publish. And you can find that, and other, interviews on our YouTube page, or on iTunes, by searching for eClinicalWorks. The offices we mentioned have shown that making a stronger patient relationship can be achieved by making changes to the way in which your office communicates with patients, and with the amount of responsibility that you put in their hands. The steps we discussed in this episode will work with just about any engagement tools your office might be using. But healow puts puts engagement tools into a unified package that lets users focus on relationship management, rather than trying to figure out how all the pieces fit together. By doing so, your patients are better informed and better equipped to work as a part of your office team, which has a positive impact on everything from patient satisfaction to office revenue. We’ll discuss why the idea of marketing applies to your waiting room and how to keep it from being your Achilles heel. If you want to share your own insights on the topic, or if you disagree with all of the information in this podcast, head over to our YouTube page and leave your comments, send us an email at podcasts@eclinicalworks.com, or post something on our Facebook and Twitter pages. I’m Adam Siladi, and thanks for listening. Not a box, but a concept. One that could mean the difference between success and failure, but that can also cause some pretty strong reactions. Welcome to this third installment of the eClinicalWorks Healow Talks podcast, I’m Adam Siladi, and today we wrap up our exploration of patient relationship management. As a medical professional, you may think that the word “marketing” doesn’t apply to your job, or if it does, you are on the receiving side, and it usually asks what your staff wants for lunch. Marketers hand out pamphlets and buttons and pens and say that they know the best way to solve your problems. And, for that reason, marketing can have some negative connotations because one of its stated objectives is to change behavior, and that can seem manipulative, in a way. But if you think about it, a lot of what healthcare focuses on today is behavior change: You should get more exercise, you should eat less sodium, you should quit smoking. You may even give the patient a pamphlet with information with statistics and some suggestions on how to do better. Many people feel more comfortable with the term “education.” It has a feeling of benevolence and the impression that it comes without an agenda. But I think that lack of agenda is one of the limitations of pure education. Education is impartial. It doesn’t take into account who you are or what you need, and it doesn’t suggest where you should go next. On the other hand, while marketing educates, it also contains a message that is important to the sender, tailored to the receiver, and that offers a clear suggestion on what to do. And while I usually don’t require this kind of intervention at the doctor’s office, I always seem to get it in the dentist’s chair! But the main point is that, unless you want to be content being the only one who is the change that you want to see in the world, then you need to tell people what you think. If you listen to just about any of our eClinicalWorks Podcast episodes about patient engagement, the way those offices have made change is through an organized effort to communicate a better way to those that need to hear it. But even when all the signs might point to a successful marketing campaign, those offices might deny it, as I found out in my conversation with Shari Crooker from Gwinnett Center Medical Associates. Maybe Shari didn’t think they were marketing because what she was doing seemed so simple. But marketing doesn’t have to be complicated to be effective, which is perhaps where many offices become intimidated. At the heart of marketing is a message. It can be any message. It can be a message for your patients that you are now open later on Thursdays to make it easier to get an appointment, or it can be a message for your staff that the new workflow is important for you to participate in a national quality program or meet Shared Savings goals. In some ways, the emphasis on collaborative care encouraged by Patient-Centered Medical Home models is going to present a lot more occasions for marketing in the medical setting. Instead of prescribing a solution, providers may find themselves presenting several options for treatment to a patient, weighing those options with them, and ultimately letting the patient decide on the best course of action. Success depends on more than just the message. If you want people to get the message, you have to figure out how you are going to deliver that message. And after this episode, look up season 3, episode 2 of the eClinicalWorks Podcast. In it, fellow caster Brian Saal talks with Carson City Medical Group, and they have some fantastic examples of how they effectively use marketing to educate their patients. Tony is part of a team at eClinicalWorks that helps offices incorporate the patient portal and healow into their day to day routine. And, as of this recording, even helps get them going with a no-obligation trial of healow. eCW’s Adam Saladi: “So you give them some marketing materials, is that what you’ve got there? Tony also points out that marketing materials alone are not going to get you there. There’s one more piece to this puzzle that makes it all work together. Another important point is that effectively marketing your efforts is not a one-time event. People need to see and hear your message on a regular basis, for as long as that message is relevant. This means that your message may need to be given by your front office staff at check-in, by your nurses and MAs during rooming, by your doctors during a visit, posted on walls, uploaded to your website, recorded on your phone messages, anywhere you can think of. Shari’s Crooker’s office is one of those groups that have been very successful with their marketing efforts, but even she didn’t do it alone. eClinicalWorks wants to help get your message across by providing pamphlets, buttons, posters, and stickers to make sure your patients know about the Patient Portal, healow.com, and the healow app. Especially the healow app, because the healow app is a free download that gives your patients easy access to your patient portal from their smartphone. But that’s my point! A lot of us look at smartphones as a privilege. A little icing on the cake of connectivity. But there is a not so small population that rely on their smartphones as their only access to the internet. The Pew Research Center reported that 7% of respondents were completely smartphone-dependent for their access to the internet, and nearly 25% had restrictions on internet access outside of those devices. So think about that, Patient-Centered Medical Home hopefuls, the next time you are asked to run a report to evaluate potentially vulnerable populations. The fact that healow gives patients access to your patient portal might seem like fluffy buttercream to you, but to someone who is actually smartphone-dependent, that could be the bread and butter of their relationship with your office. You might not even realize, but the right marketing could make all the difference for your patients. Full disclosure: In case you didn’t realize, I’ve been marketing to you this whole time! But I hope you also come away from this feeling better educated about the things that have made others successful. And just as you care about giving your patients information that helps them achieve success in their health, eClinicalWorks cares about helping its clients build stronger patient relationships. We know that the increasing number of options and requirements can make it difficult to know what to focus on next, so we want to make you aware of our message regarding ways we can help. That’s why the eClinicalWorks Podcast offers interviews with clients that have been there and done that, so you can make an informed decision about what to do next. And if you’re out there listening to this, please, tell us what you think, even if you hated it! I will be honest — we need your help. Share this series with your friends, colleagues, and clients and have them listen in, as well. If you would like more information about any of the topics discussed in our series, check out all the information and tutorial videos available on my.eclinicalworks.com, or contact your Strategic Account Manager and mention our program. Before we go, a few thanks are in order: Thank you to Shari Crooker, Dr. Gavini, Dr. Hinson, and Tony Polito, who lended their voices to this project. Thanks, of course, to our audio producer who takes care of the technical side of things, the eClinicalWorks Podcast team, and everyone else at eClinicalWorks who makes this program possible. For the eClinicalWorks Podcast, I’m Adam Siladi, thank you for listening.